Here's the thing about Christmas trees. To a human being, they're a symbol of joy and light at the darkest time of the year. But to a cat, they're giant climbing gyms hung with dozens of the shiniest, noisiest, most exciting toys you could imagine. 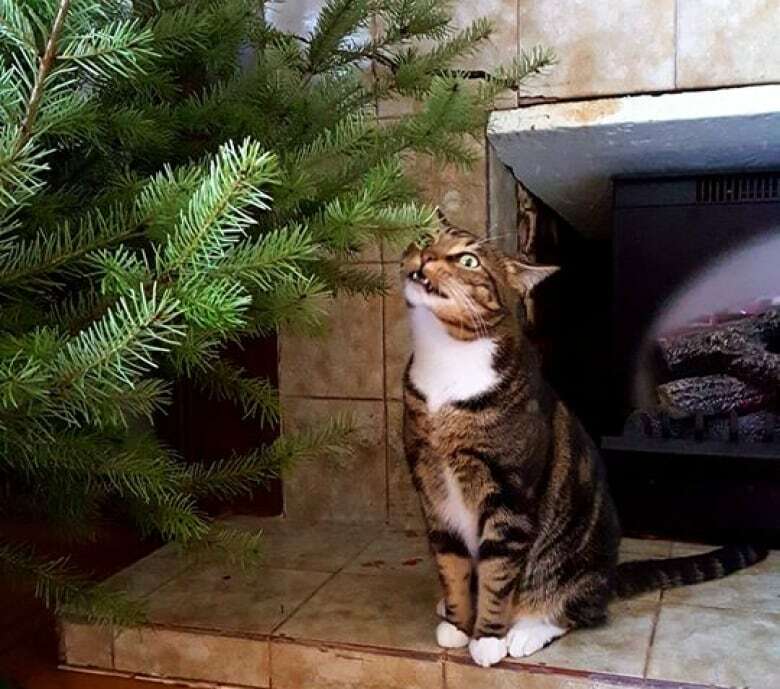 "There's so many things about Christmas trees that attract cats," animal behaviour expert Rebecca Ledger told CBC. "The first thing is that it's novel — especially if it's a real Christmas tree and it smells like the outside. They are drawn to that. Most cats are very curious and they like to investigate." Then there are the jingly, jangly, reflective ornaments, which just happen to fit perfectly into the mouth of a playful cat. And of course, cats are natural tree climbers. "They do seek elevated areas and they tend to feel safe when they're up high and they can look down low on things going on beneath them," Ledger said. 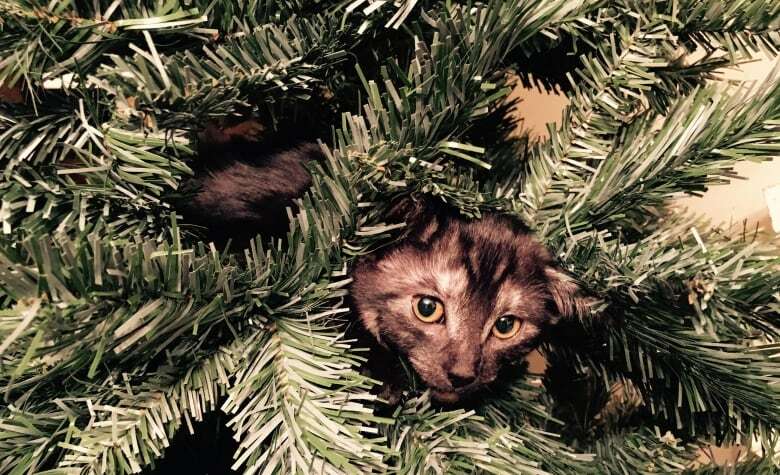 Essentially, Christmas trees are everything a cat loves, wrapped up into one easily destroyed package. And every cat likes to show that love in his or her own way. 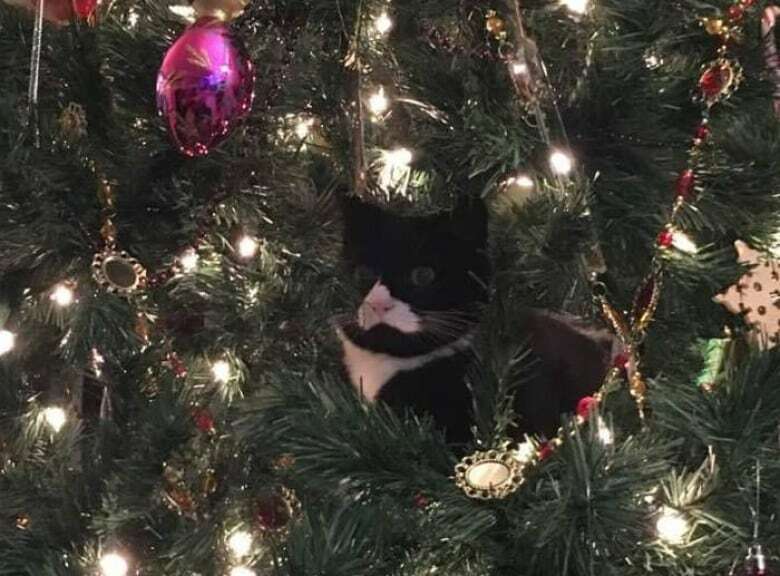 Some cats like to steal ornaments, hoarding them away under couches and in dark corners, or batting them around until they break. Other prefer to wake their humans in the middle of the night with the sound of a tree crashing to the ground. CBC spoke to several B.C. 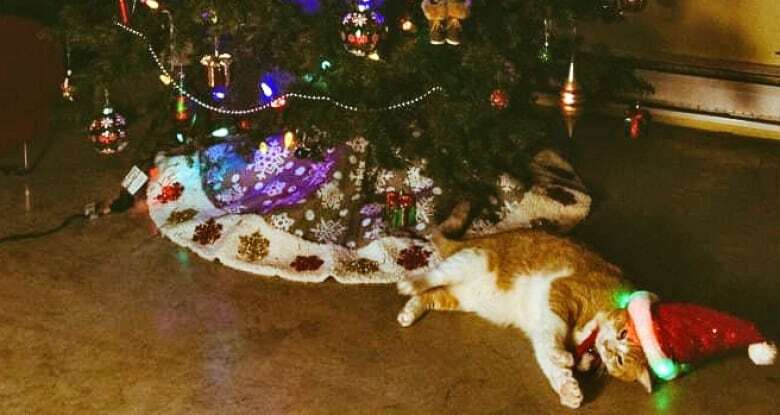 pet owners who shared their stories of Christmas-crazy cats and the consequences of their obsession. A few have helpful tips for heading off chaos, but most just let the insanity happen. Like, say, the adventures of Fox, the newest addition to Angie Jenken's household. She can probably count herself lucky — the little guy doesn't seem to be doing much damage in there. 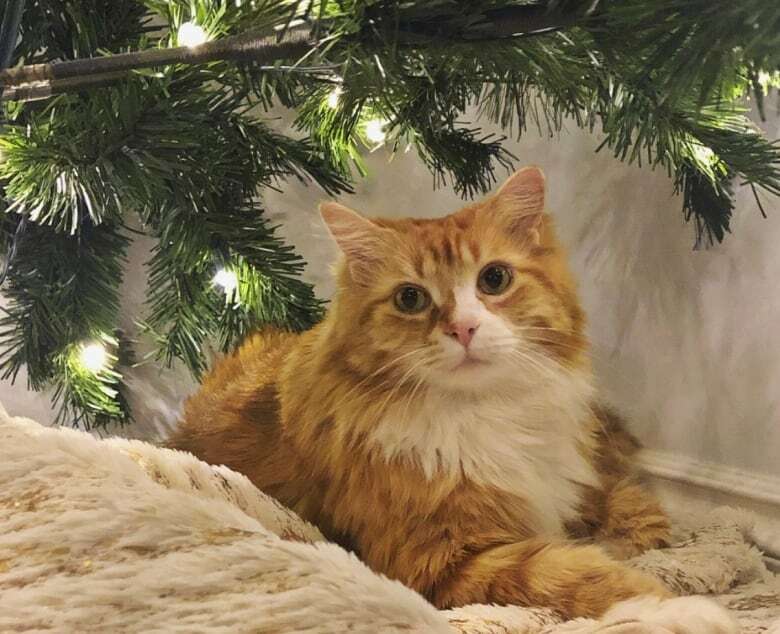 New Westminster Mayor Jonathan Cote laid out the stark reality for many cat owners at Christmas time in a series of tweets. The poor tree never had a chance against little Indy. Sometimes, it isn't even possible to hang the decorations before there's trouble. 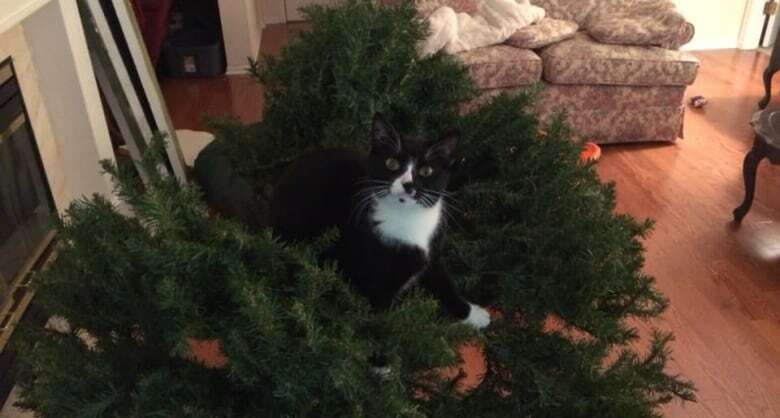 Here's Mary Chow's Roscoe exploring her bare tree. Helen Savkovic shared a memory from holidays past, involving a mischievous cat named, of all things, Mr. Christmas. He was a gift for a young neighbourhood boy one Christmas, but preferred Savkovic's house and eventually became part of the family, she explained. One year, her mother made the mistake of decorating the tree with ornaments designed to look like red, feathered birds. 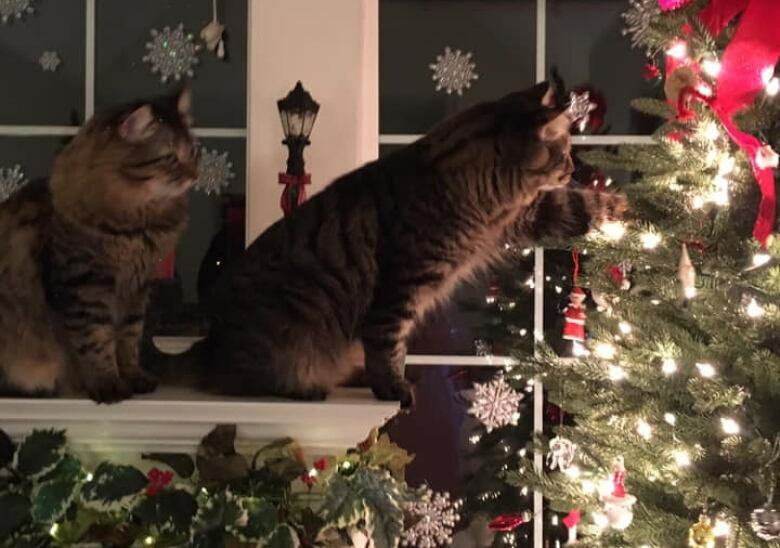 "Our two cats went nuts over them and those poor ornaments didn't last long. I still remember Mr. Christmas' face with red feathers sticking out of the side of his mouth," Savkovic said. "We were finding red feathers for months after." 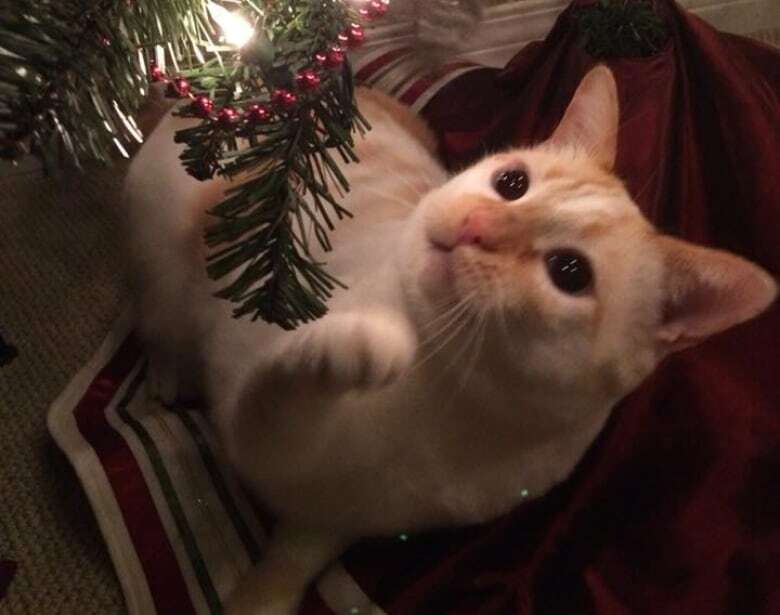 At Janine Conick's house, the madness begins as soon as her cat Prince Harry sees the box containing her artificial tree. He immediately begins attacking the box, and then runs around frantically while he waits for the magic to unfold. "Once it's up, he proceeds to spend the next week chewing on the plastic needles (whilst ignoring our protests) and puking them up until, presumably, it finally occurs to him that perhaps the tree is what's making him puke," Conick said. Sometimes, nothing seems to dissuade a Yule-mad cat. Manon Vee thought switching to a mini tree would end her problems, but she was wrong — "They still find ways to get it down." 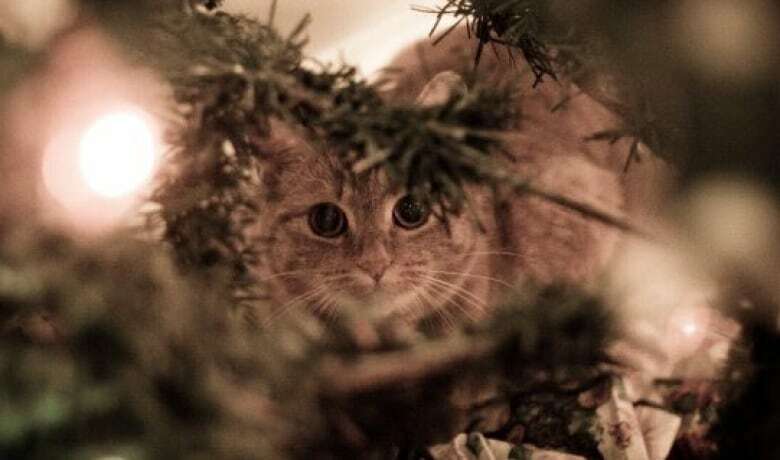 But there are a few tricks for keeping cats away from the Christmas tree. CBC's Tamara Baluja hides aluminum foil under the tree skirt. 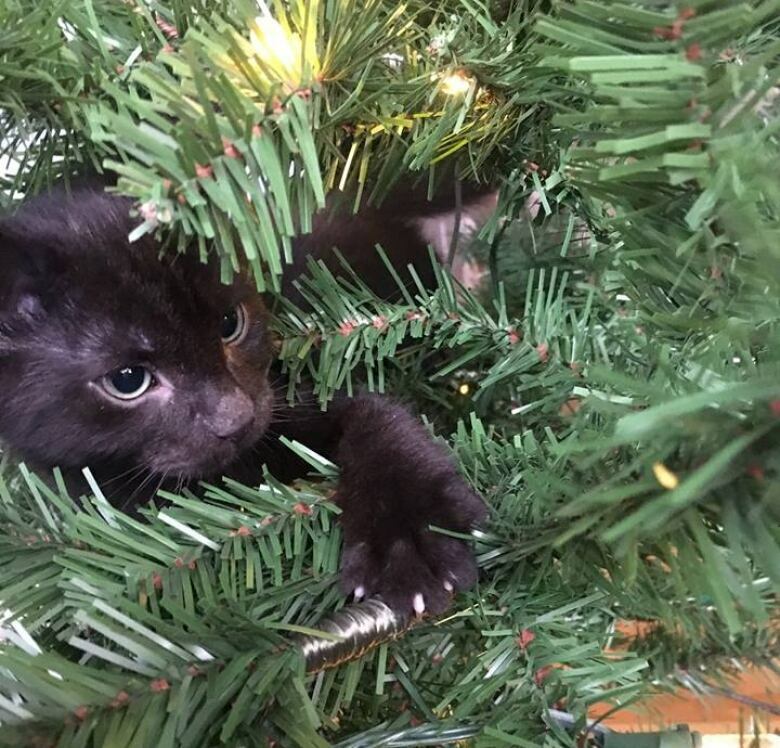 Her cat Milo has a "deathly fear" of the stuff, which "might be why he's never approached the tree," she says. Ian Bushfield, executive director of the B.C. Humanist Association, places orange peel under his tree to keep his cats away —​ felines tend to hate the smell of citrus. Sometimes, half measures are appropriate. 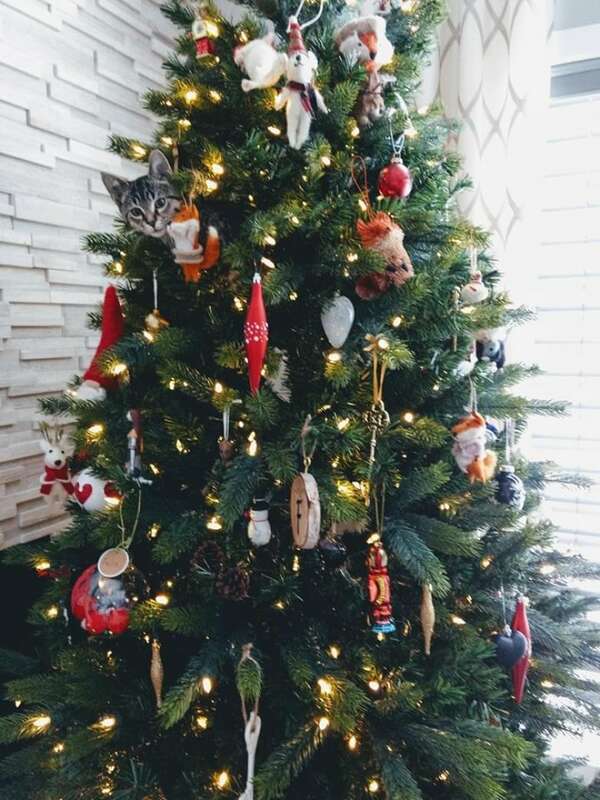 Vicky Micks said that when she puts up a tree, "we could only decorate the upper half because otherwise all the ornaments became new cat toys. Plus suddenly Santa's beard was a foot longer than before." Of course, punishment is always an option. According to Ledger, the animal expert, many owners like to place a pen or a decorative fence around the bottom of their trees to protect them. But some poor cat owners have had to forgo the tree entirely.